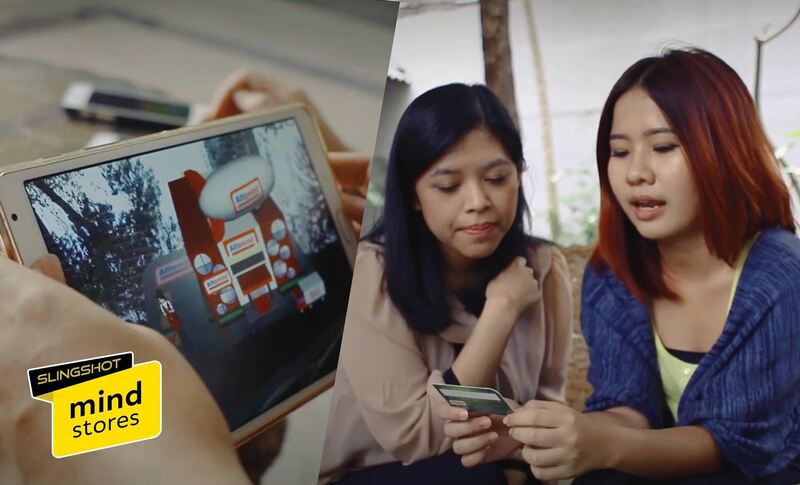 While its direct-selling model echoes brands like Avon and Tupperware, Indonesia's MindStores gives the approach a modern twist—with augmented reality. Recognized as the first partnership store network to use augmented and virtual reality, MindStores equips its store owners with their own unique partner cards which customers use to access the stores virtually. The whole process is relatively simple, and takes place in-person only. A store owner, who can be located anywhere—from their living room to a public coffee shop—shows a customer their partner card. 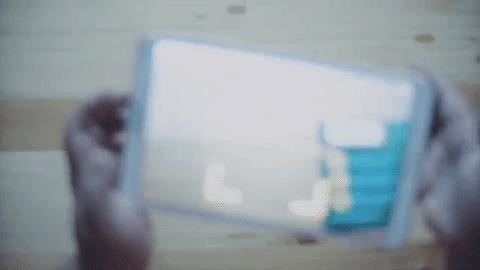 Using a dedicated app on their own smartphone, that customer scans the card to see a 3D retail store appear on their screen. From there, the customer enters that partner's virtual store and can browse and purchase merchandise to have shipped to them. The store owner then gets a cut of the sale. Slingshot, the Indonesian technology and media company that operates MindStores, announced this week that the store network has opened more than 7,000 stores in Indonesia since its launch last June. They estimate that they will have more than 150,000 active stores by the second quarter of 2017, with the potential to open more than 4 million new stores in the country over the next two years. 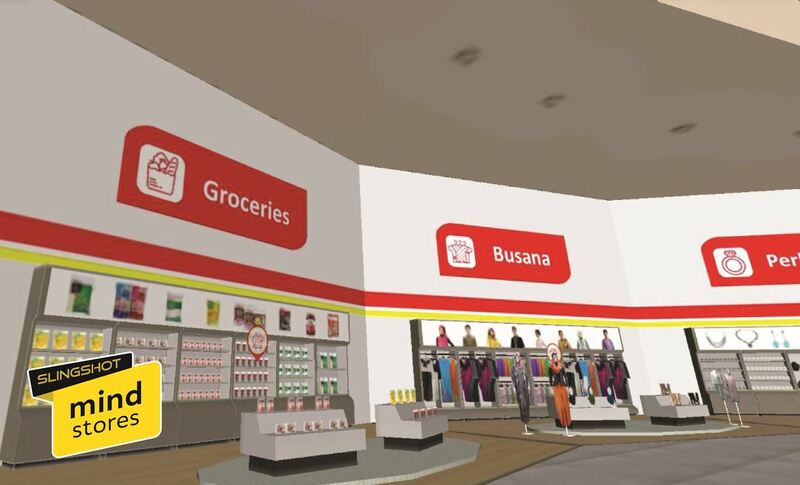 As part of the pilot program, MindStores partnered with Alfamart, a large Indonesian convenience store chain, to have their wares sold through branded Alfamind virtual stores by individual store owners. However, augmented reality gives MindStores the potential to expand their retail partnerships to other companies, with many stores appearing side by side on each scanned store owner card. "The future will be an augmented reality city that is working flawlessly with people, with stores, with consumers," said Daniel Surya, CEO of Slingshot and its parent company, WIR Group, in an interview with NextReality. "Now is just the first phase. We're looking at a data-driven city using augmented reality." Surya noted that MindStores already has an agreement with one of the largest insurance companies in Indonesia, Astra Life, in collaboration with UK-based Aviva, as their next retail partner. Eventually, MindStores will also give its store owners the ability to sell their own merchandise and crafts—not just partner brands—like on Etsy. The company expects to expand to China and India by the end of the year, Latin America and Africa next year and, eventually, the United States. Each expansion will require recruiting partners that resonate with consumers in those markets. Working in emerging markets presents challenges in rendering AR and VR animations, since most consumers are equipped with lower-end phones running on processors two or three generations old. The stores are designed to render smoothly through its Android or iOS app. To ensure consistent operation, the company built the stores on their own engine, which is compatible with more modest hardware. For instance, minimum requirements to run on Android include OS version 4.2 Jelly Bean, quad-core 1.8 GHz CPU, and 2 GB RAM. "We need to be able to present this technology on the simplest, most modest phone available on the market," said Surya. The app is also optimized to compensate for available connectivity in the emerging markets. According to a spokesperson, the app is designed to allow for offline browsing, though an internet connection is required to place an order. Nonetheless, they are also testing the experience with smart glasses, namely Vuzix and HoloLens, and their research and development team maintains relationships with the leading hardware makers so that they are familiar with the next wave of devices. Along with the eye-catching AR and VR aspects, community-based selling has been a significant component of the company's success. The direct selling model appeals to mothers of single-income families as supplemental income, according to Surya. Since brand loyalty is low in Indonesia, the ability to offer goods at a discount to friends and neighbors gives store owners and their partner retailers an advantage. Through Mindstores we've used innovative technology to create something as equally innovative as it is meaningful, through its proven ability to make a positive impact to empower women worldwide. Slingshot will continue enhancing the Mindstores experience, for the benefit and futures of an often-overlooked population: women in less developed regions of the world. Compared to the cost of opening a brick-and-mortar store or securing a franchise license, the start-up cost for MindStores is relatively modest. Store owners invest a minimum fee (the equivalent of about $100) to serve as capital to purchase inventory credit from Alfamart, the partner retailer. Their customers order products through the store and pay the customer in cash. The retailer applies the purchase towards the inventory credit and ships to the customer. Customers pay the store owners directly in cash. Store owners can purchase additional credits once the initial investment is exhausted. The store owners receive about 15% of each sale for most of Alfamart's product categories, such as fashion and household goods, which have 30-40% margins. MindStores takes a 2% cut, with the remainder of the proceeds going to Alfamart. Slingshot reports that participants average $900–$1,200 per month in sales. Slingshot is one of five Indonesian companies appointed by BEKRAF (Indonesian Government Agency for Creative Economy) to attend the South by Southwest (SXSW) Conference and Festival, taking place March 10–19 in Austin, Texas. The companies will exhibit in the Indonesian section named Archipelageek. "It is a tremendous honor to represent our Country at such a prestigious event," said Surya. "We're proud to showcase the creative and innovative technological achievements from Indonesia, which we believe are highly relevant in today's worldwide marketplace." In addition to its MindStores business unit, Slingshot also operates AR&Co., which specializes in augmented reality content development, and DÄV, an AR media placement company. Founded seven years ago as the AR Group, Slingshot has offices in New York, Los Angeles, Silicon Valley, Jakarta, Singapore, Barcelona, and Malta. Slingshot has completed more than 500 projects in 20 countries, working with brands such as Disney, Cartoon Network, Samsung, LG, Intel, Lenovo, and Sony, to name a few. Among their notable campaigns include AR-enabled ads for the successful Nigerian presidential campaign of Muhammadu Buhari, holographic Star Trek collectible pins, and the first AR children's books in Spain. 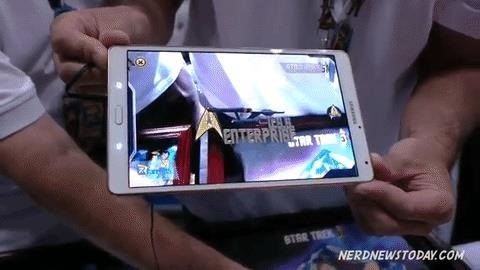 "We've always been excited about the possibilities of augmented reality and the power it has as an engaging and immersive platform," said Surya. How do you think AR stores would fare in your corner of the world? Let us know in the comments.